The world’s original paranormal detective returns! 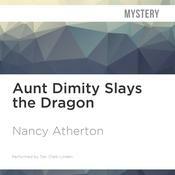 Nancy Atherton’s Aunt Dimity series has charmed its way into the hearts of mystery fans everywhere, finding a larger audience with each new book. In Aunt Dimity Goes West, Atherton’s vivid storytelling and knack for bringing a setting to life will have fans lassoed to their chairs. Lori Shepherd, still recovering from her most recent adventure, is taking a vacation with her family in the beautiful mountain town of Bluebird, Colorado. But there’s something amiss at their seemingly perfect vacation home. Is the place cursed? Or is a sinister human hand shaping its eerie reputation? 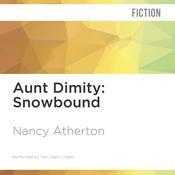 With Aunt Dimity’s help, Lori sets out to solve a 100-year-old mystery and discovers that sometimes the strangest places can seem the most like home. 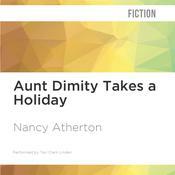 Nancy Atherton is the bestselling author of the Aunt Dimity mysteries. 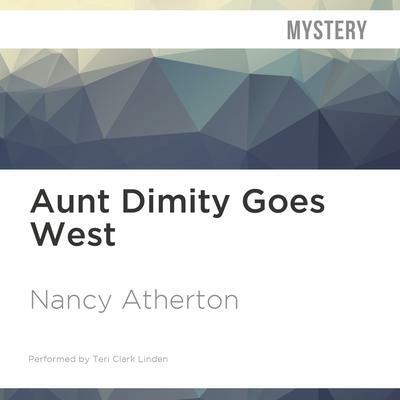 The first book in the series, Aunt Dimity’s Death, was voted “One of the Century’s 100 Favorite Mysteries” by the Independent Mystery Booksellers Association. She lives in Colorado Springs, Colorado.